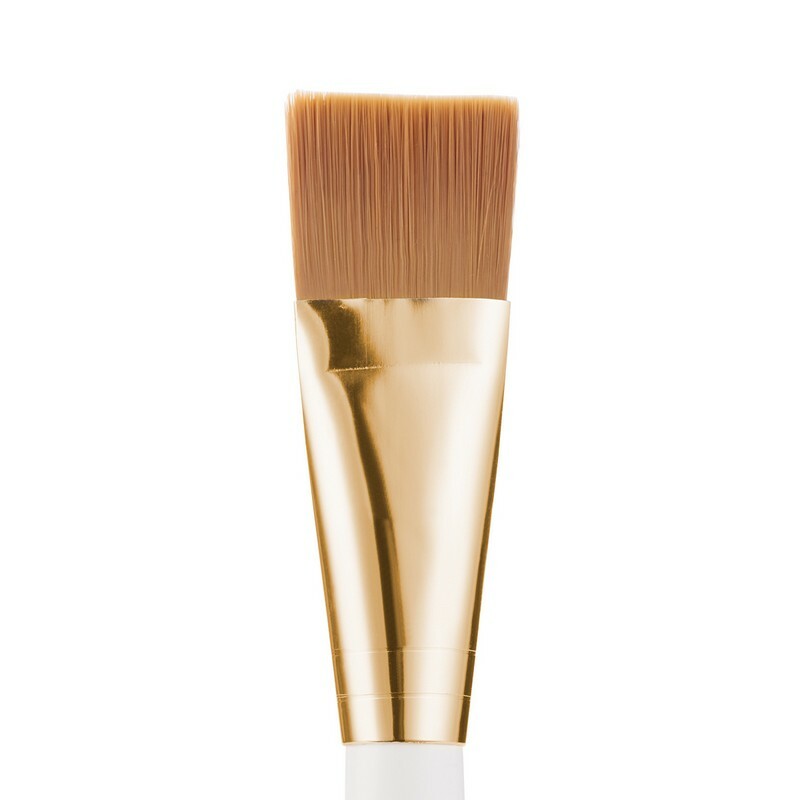 A square-shaped brush for applying foundation. 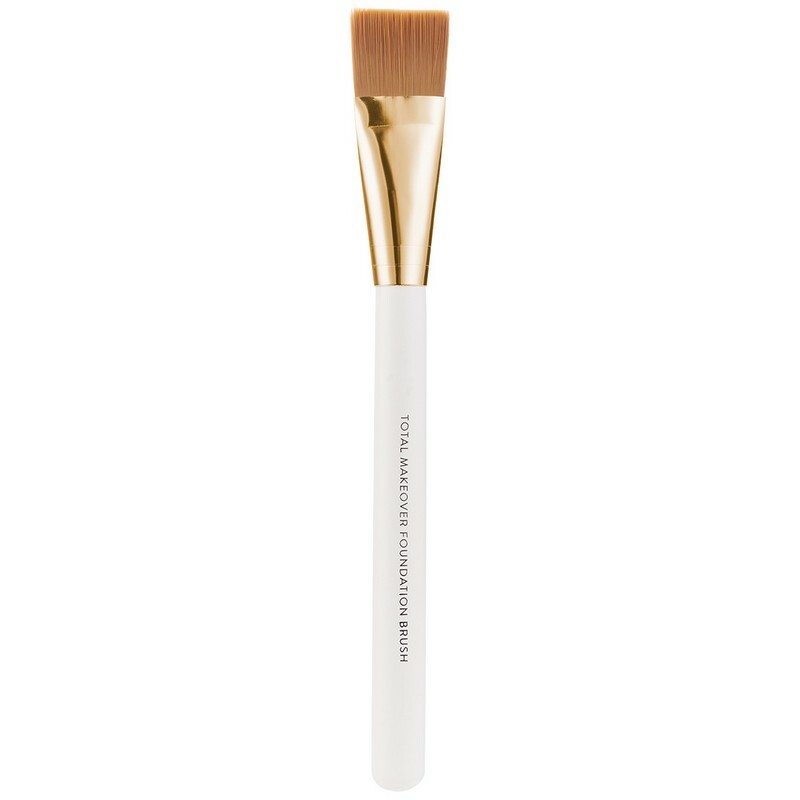 - Sweep a little foundation on to the brush. - Tap off excess and apply to the face .